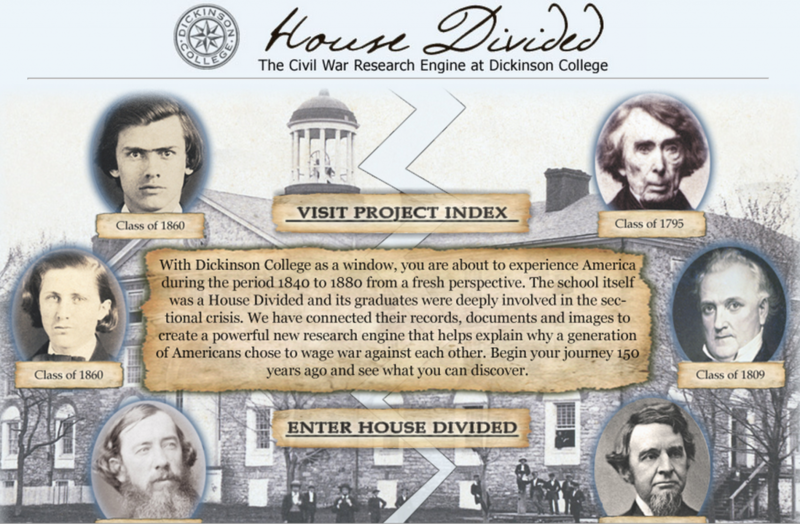 The research engine at the center of the House Divided Project at Dickinson College is essentially a database of tens of thousands of historical documents and images from the period, 1840 to 1880, with a focus on the American Civil War. However, the interface is unique and innovative, offering users a glimpse at the global past in real time. Entering the database puts you back in time to see the records that we have for 150 years ago from today’s date.